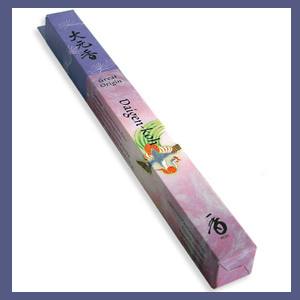 This incense combines sandalwood and cinnamon to promote comfort and insight. No synthetic oil, no animal ingredients, no animal testing. 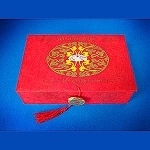 Ingredients: Santalum album (sandalwood), Cinnamomum verum (cinnamon), Cinnamomum camphora (camphor). 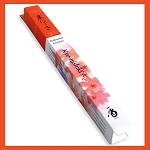 Each box contains 30 sticks, 8.25 inches (22 cm) long. Burning time is approximately 50 minutes per stick.